On 11 August 2016, the Land Transport Authority (LTA) announced finalised plans leading up to the full transition of the bus industry to the Bus Contracting Model (BCM). 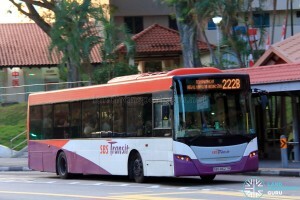 SBS Transit and SMRT Buses, the two dominant bus operators in Singapore, have agreed to continue operating their existing bus routes for the next 2 to 10 years under a negotiated contract (NC) which will see the BCM framework apply to their bus operations. This was implemented from 1st September 2016. In this article, Land Transport Guru summarizes the various changes in bus fleet and bus services in the build up to the full implementation of the BCM. 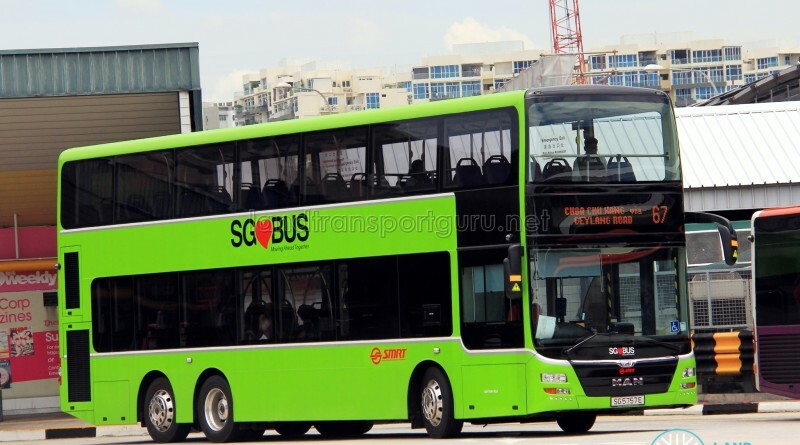 The the Bus Contracting Model (BCM), formerly known as the Government Contracting Model (GCM), was initiated in mid-2014 to gradually restructure the public bus industry to a Contracting Model. Bus routes were bundled into bus packages, consisting of a single bus depot, several bus interchanges, the bus routes and the buses themselves. With all bus infrastructure belonging to the Government, the Land Transport Authority (LTA) would contract out the bus package, select a bus operator (through a competitive tendering process), and lease these assets to the new operator. 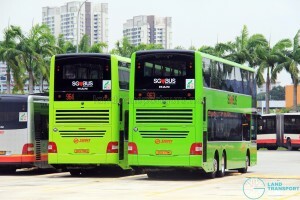 As part of the transition, all existing bus services in Singapore (previously operated by long-standing duopoly between SBS Transit and SMRT Buses) were divided up into 14 route packages with the first three packages, the Bulim, Loyang and Seletar Bus Packages, being announced between May 2014 and June 2016. The Bulim and Loyang packages have been awarded to Tower Transit Singapore & Go Ahead Singapore respectively, with operations commencing in May 2016 and September 2016 respectively. The Seletar package, released for tender in June 2016, will commence operations in the first half of 2018. SBS Transit will operate 8 packages consisting of 196 bus routes from 01 Sep 2016 for a sum of $5,322 million dollars. 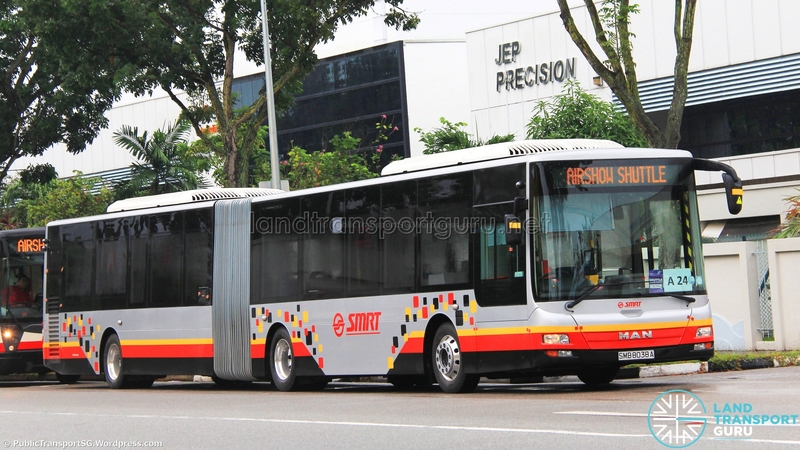 SMRT Buses will operate 3 packages consisting of 77 bus routes from 01 Sep 2016 for a sum of $1,865 million dollars. 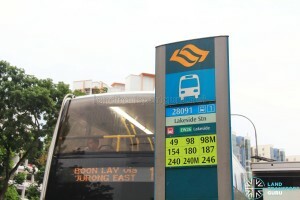 All fare revenue collected across bus operations would be handed to the LTA. However, operators are also required to pay LTA a leasing fee for the use of Government-owned buses and assets such as bus depots & interchanges. Under the BCM, public bus services in Singapore will be divided into 14 Route Packages, in which 1 package is currently up for tender and 1 route package each awarded to Tower Transit Singapore & Go Ahead Singapore. The remaining 11 packages consisting of existing routes operated by SBS Transit & SMRT Buses will continue to be operated by the incumbent operators for a period of 2 to 10 years, after which the route packages will be up for open tender. Altogether, close to S$7.2 billion will be given to SBS Transit and SMRT Buses on this phase of the BCM transition. The 11 packages are designed in such a way that there would be no change of operators for bus services currently operated by SBS Transit & SMRT Buses. As such, all employees of SBS Transit and SMRT Buses will not be affected by the full implementation of the BCM from 01 Sep 2016. It is worth noting that Chinatown Direct CT28 was not allocated to any route package, indicating that the seasonal bus service between Clementi and Chinatown will no longer operate from next year onwards. Special Ad-hoc F1 Midnight Bus Services by SBS Transit (EW1, EW5, EW27 & NS16) will no longer be in operation from this year’s F1 season, as these services are not part of the negotiated contracts. 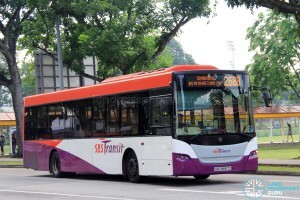 In addition, NightRider and Nite Owl services have been carried forward to remain with SBS Transit and SMRT, indicating that a reorganization of night bus services, if any, will have to take place at a later date. More information on the route packages and bus services can be found in our main article on the Bus Contracting Model (BCM) here. In recent times, SBS Transit & SMRT Buses have been terminating operations of some basic-plus bus services such as Premium and Parks Services, by either transferring them to Private Bus Operators or withdrawing them entirely. As these services are not included in the Bus Contracting Model, SBS Transit & SMRT Buses would not be able to operate those services using their fleet of LTA-owned buses under new regulations. More on the new fleet regulations will be discussed in the next section on bus fleets under the BCM. In addition to the basic-plus bus services, Peak Period Short Services (PPSS) have been absorbed into the operational requirements of the BCM route packages. These services are initially contracted out to Private Bus Operators and will be operated by the parent service operator (SBS Transit / SMRT Buses / Tower Transit Singapore / Go Ahead Singapore) once their contract expires, with no change in route and little change in timings. This leaves only the City Direct Bus Services to be operated by Private Bus Operators, which are tendered out separately under the Bus Contracting Model. To meet the handover date, the contracts for these seven PPSS services have been extended past their two-year contract durations and will operate for the last time on 31 August 2016. They will be operated by SBS Transit / SMRT Buses from 1 September 2016 using new route numbers. 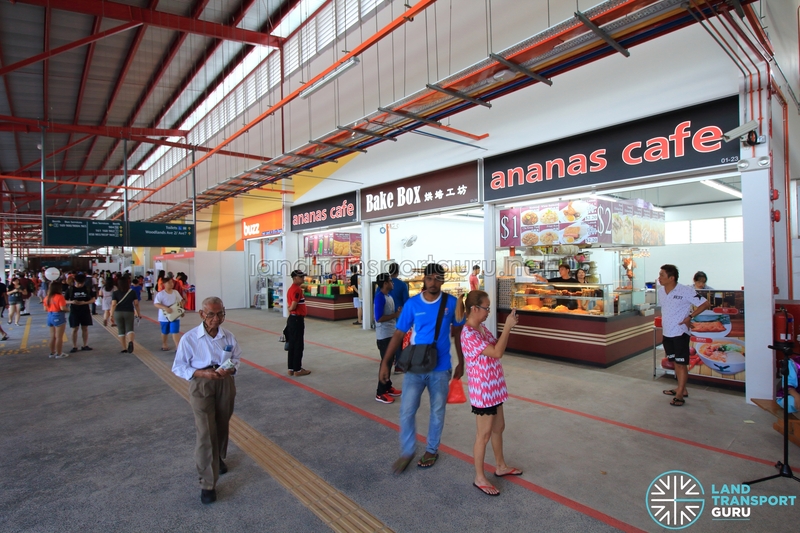 For more information on PPSS handovers, refer to Changes to Peak Period Short Services (PPSS). More photos are attached in the Gallery section below. 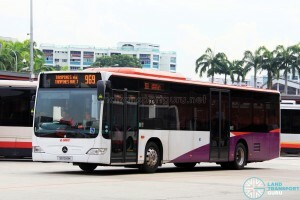 Part of the Bus Contracting Model requires LTA to build up a fleet of Government-owned buses, to be leased to public bus operators for their operational needs in fulfilling the requirements of the bus packages. 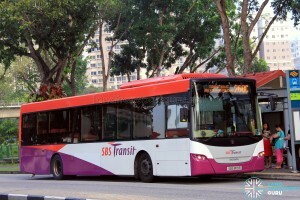 Under the Bus Service Enhancement Programme (BSEP) in 2012, LTA funded 1,000 new buses to boost the fleet of both SBS Transit and SMRT Buses. These new buses form part of SBS Transit & SMRT orders of Volvo B9TL, Mercedes-Benz O530 Citaro, MAN A22 and Alexander Dennis Enviro500 buses. 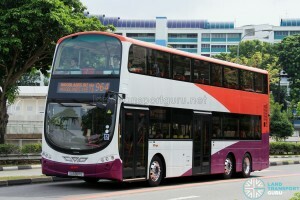 An additional order of MAN A95 double decker buses (of unknown quantity) was placed by the LTA directly for the BCM, and these buses were registered from February 2016. In December 2015, LTA completed its buyback of Mercedes-Benz O530 Citaro & Volvo B9TL BSEP buses owned by SBS Transit, forming the first pool of buses for use in the BCM. 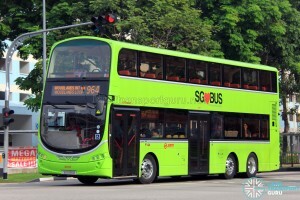 The BSEP bus buyback for SMRT Buses consisting of Alexander Dennis Enviro500 and MAN A22 buses was completed in May 2016. 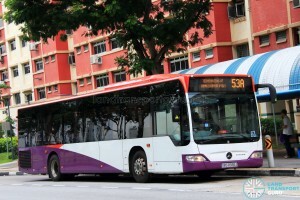 Also in December 2015, LTA bought over 50 buses delivered to SBS Transit and registered between June to December 2015, comprising of non-BSEP Mercedes-Benz O530 Citaro & Volvo B9TL buses. 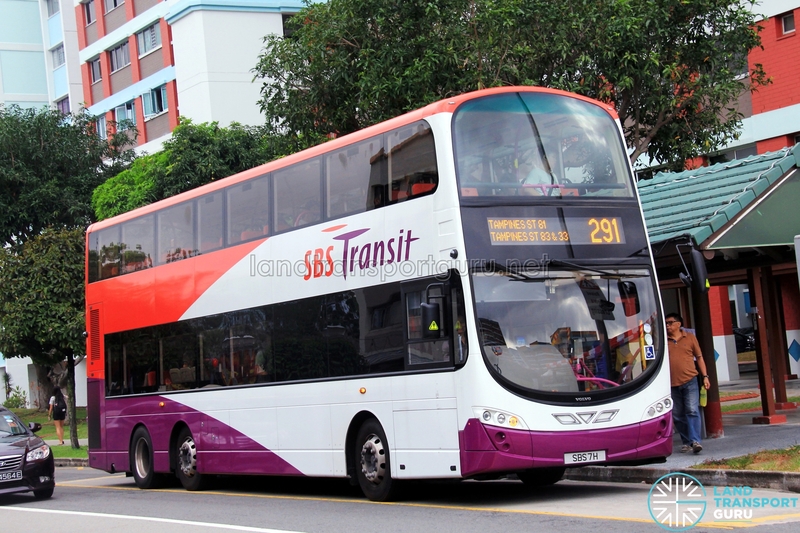 SBS Transit has been leasing additional buses from LTA to support their increase in fleet requirements for their operations to fulfill the BCM requirements. 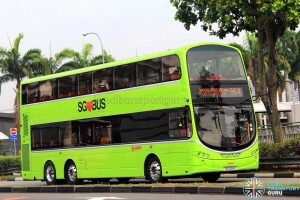 These new Mercedes-Benz O530 Citaro and Volvo B9TL buses bear the SG-prefix on their registration plates and are no different from existing units operating on revenue service, hence the changes are not obvious. 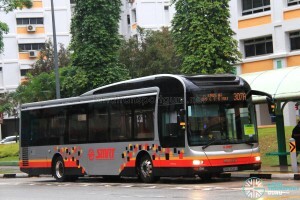 Recently, SMRT Buses have been leasing additional buses from LTA to support their increase in fleet requirements for their operations to fulfill the BCM requirements. 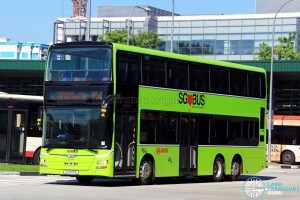 Such buses includes 9 Mercedes-Benz Citaro buses in March 2016 and 21 Volvo B9TL buses in July 2016 (in exchange for Alexander Dennis Enviro500 buses). 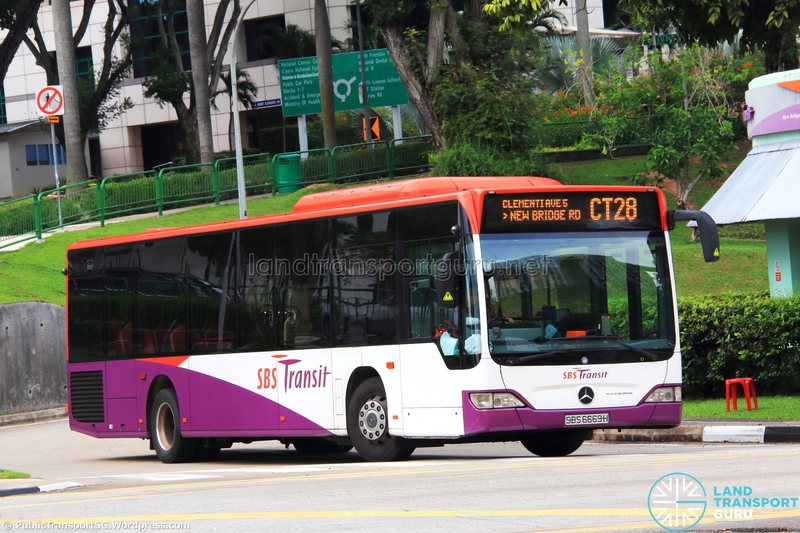 More Mercedes-Benz Citaro and Volvo B9TL have been added to the fleet leading up to the 1 September handover date, resulting in the noticeable increase of SBS Transit-spec buses on SMRT revenue service. Additional MAN A95 buses (SMRT-specification but ordered by LTA) were take out of storage and put on revenue service. Owing to the lack of lead time for repainting these Mercedes-Benz Citaro and Volvo B9TL buses into Lush Green before 1 September 2016, SMRT started deploying them in various versions of SBS Transit’s corporate base livery starting in late August 2016, leading to a rather messy sight. 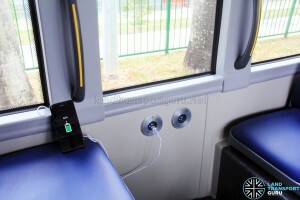 In addition, MAN A95 buses were painted in two different shades of Lush Green, and later-registered units have been equipped with USB charging ports. SMRT Buses received Mercedes-Benz Citaro buses built to SBS Transit specifications. 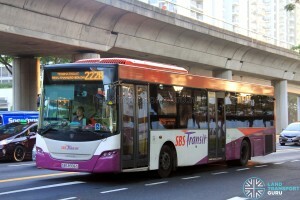 While earlier units were painted with SMRT’s pixellated livery, later-registered units were put into service with various versions of SBS Transit base livery. 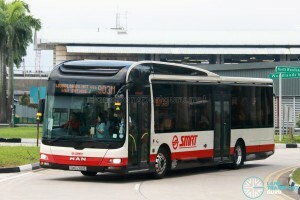 For more information, visit the main article at New Mercedes-Benz Citaro buses for SMRT Buses. 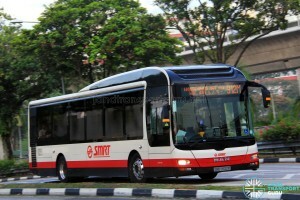 SMRT Buses received Volvo B9TL buses built to SBS Transit specifications. 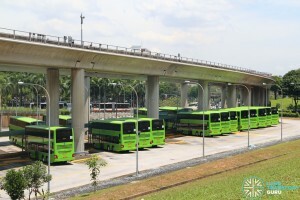 Some units were painted in LTA’s standard Lush Green livery while other units were put into service with SBS Transit base livery and SMRT logos. 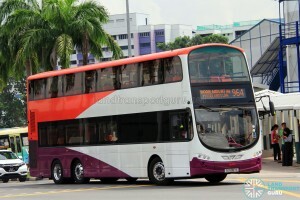 For more information, visit the main article at SMRT Volvo B9TL Begin Operations. 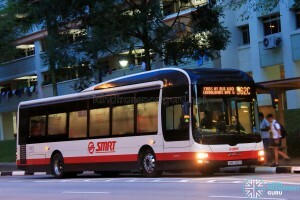 SMRT Buses received MAN A95 buses built to its own original specifications (purchased by the LTA and put in storage for months). A few units were painted in SMRT’s pixellated livery, and most were painted in two versions of LTA’s standard Lush Green livery. The first version had a black front between the headlights and a darker shade of green. The second version was painted in a uniform shade of lighter green. 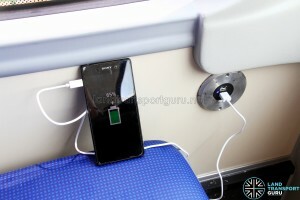 Later-registered units were fitted with USB Charging Ports. 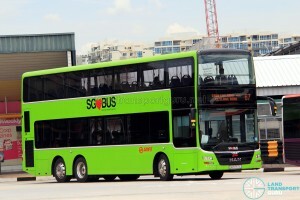 For more information, visit the main article at New MAN A95 buses for SMRT. USB Charging Ports are now available on public buses! 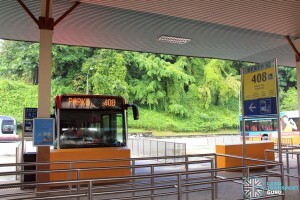 The LTA will also standardize the design of thermal paper which tickets are printed on. The light-blue watermarked LTA tickets, previously used on City Direct / Peak Period Short Services, will now be used on all buses, replacing the red watermarked SBS Transit and SMRT thermal paper. 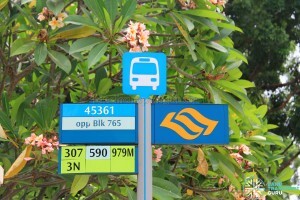 Also, the service plate numbers on bus stop pole is currently undergoing replacement to a standard Lush Green background, instead of colours which denote the bus service operator (such as red for SBS Transit). This replacement drive has started with all bus stops formerly served by withdrawn PPSS routes (222P, 240P, 268P, 291P, 293P, 307P, 912P) and will eventually be standard across Singapore. 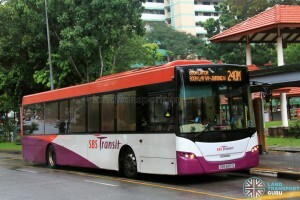 Photos of SBS Transit Service 240M and SMRT Service 962C are attached further up the article. It is better to let a 5th company (preferably Asian) take over Seletar. They can also run the Hougang contract when it is up for tender. It also makes sense for Jurong West to go under TT and Tampines to be GAG’s area of control. SMRT can keep their existing 3 contracts and SBST retain the last 5. In short, SBST would have 5 contracts, SMRT 3 and everyone else 2 each. That way, nobody controls over 50% market share because they don’t deserve to. 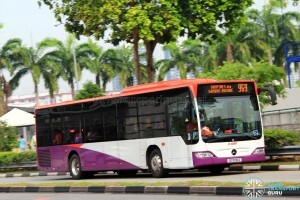 I think bus operators should use LTA money to buy the bus themselves rather than LTA lease to them. The bus operators understand their commuters better. Also,there is very little mention on the A24 bendy tho. Suppose bendy buses will be made history a few decades later? Please reply,thx. 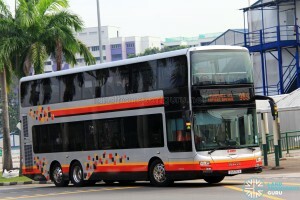 MAN A24 buses have been bought by LTA for the BCM.